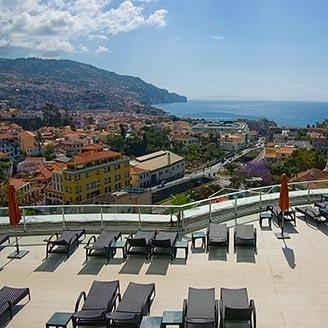 This prestigious new hotel, has been created from a prominent manor house superbly positioned on the brow of a hill with fabulous panoramic views over the mountains, the ocean and Funchal’s old town. 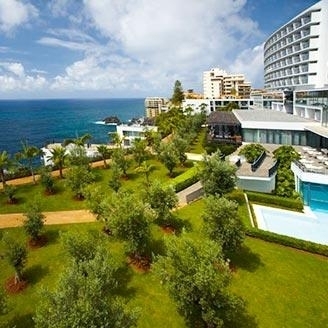 Right on the ocean front, on one of the best and most unique locations in Madeira and with the sea side promenade at the doorstep, the Meliã Madeira Mare opens its doors. An epicurean 5-star experience for the discerning traveler. 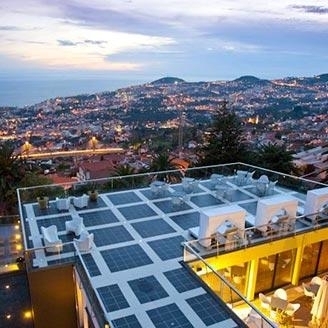 This is a state-of-the-art five-star hotel in Funchal. Found located close to the city centre and the Old Town, The Vine is excellently situated for those on a holiday or on a business travel. 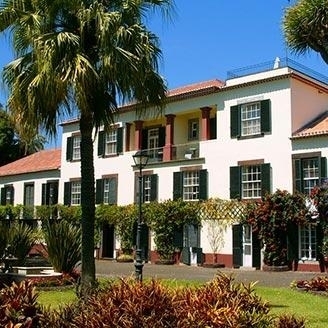 The top-quality facilities and friendly service make this hotel one of the best in Madeira! Quinta do Monte is a unique Madeira hotel located in the heart of the picturesque and historic village of Monte, perched in the hills of Funchal. A haven of relaxation and tranquility. 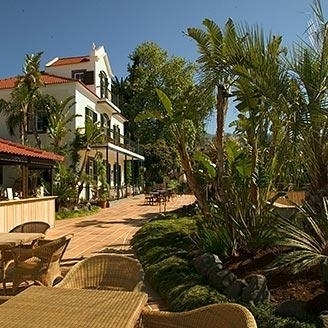 Surrounded by vineyards on the southern slopes of the main wine producing area of Madeira, at an altitude of 400 meters above sea level, you will find the charming hotel Quinta do Estreito. 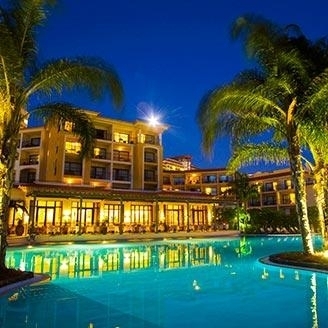 This new luxurious 5 star resort is situated on the oceanfront overlooking the Funchal harbour, within a 10 minutes’ walk to the city’s historic and cultural centre. Experience the refined comforts of Reid’s Palace, offering opulent 5-star accommodation complemented by first class service and a wide range of superb facilities. 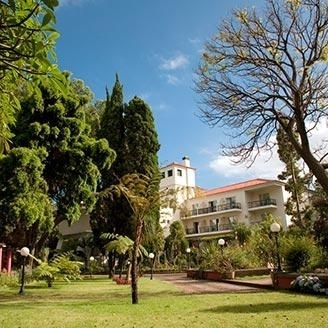 Situated on a headland near Funchal, the hotel boasts panoramic views across landscaped gardens and the Atlantic Ocean. Your holiday at Reid’s will be a truly unforgettable experience. 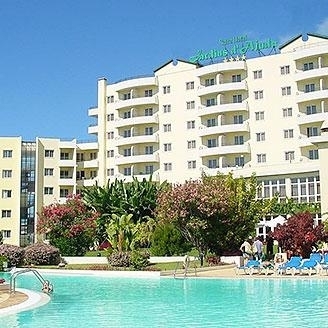 Surrounded by tropical gardens and set back from the main road, this prestigious 5-star hotel offers tranquility, superb recreational and leisure facilities with own sea access as well as spectacular views over the atlantic. 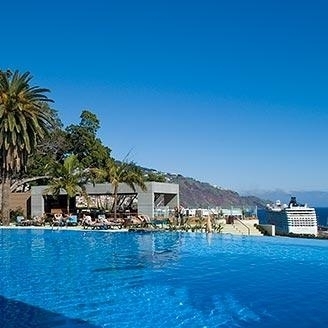 Perfectly positioned on the seaside promenade near the Lido area of Funchal, the Enotel Lido Resort Conference & Spa - Madeira is an outstanding 5-star hotel. 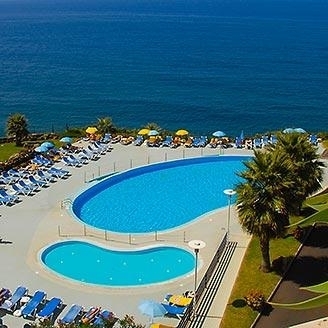 Enjoy comfortable accommodation featuring large balconies and panoramic ocean views, as well as excellent facilities including swimming pools, a games room and the superb Thalassothys Spa. 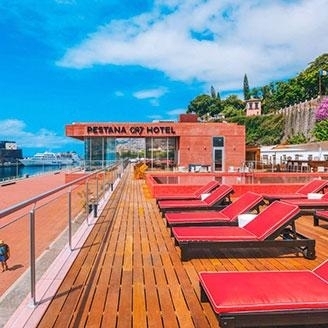 The Pestana Grand Hotel is the latest and most prestigious project of the Pestana group in Madeira, situated in one of the best locations in Funchal. 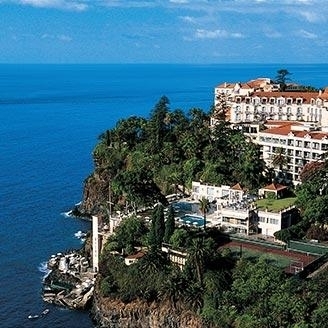 The Pestana Casino Park Hotel & Casino includes Madeira's highly popular unique casino and overlooks the stunning harbour of Funchal. 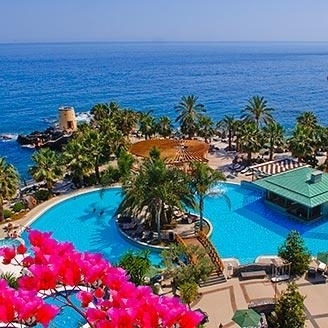 The 5-star Pestana Carlton Madeira Ocean Resort Hotel is located just 10 minutes walk away from the centre of Funchal. During your stay at this elegant hotel enjoy the facilities it offers and relax in its classy atmosphere. 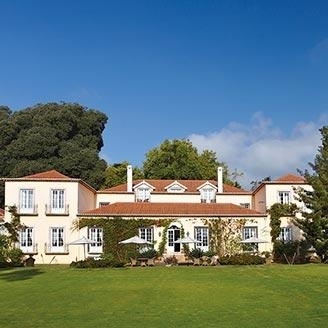 Built in the 18th century, Quinta Jardins do Lago is a small luxurious 5-star hotel, surrounded by lush gardens and really close to the city’s historic centre, which makes it the ideal combination between relaxation and culture. The double rooms and suites were all designed to keep the traditional architectural style of the building together with modern amenities, with special attention to comfort. 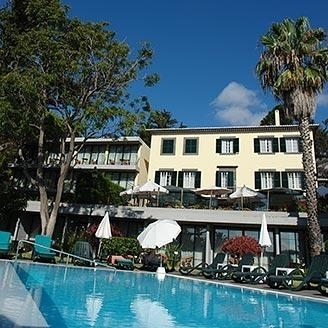 The hotel offers its visitors a large heated swimming pool, bars and an elegant restaurant, were you can have a taste of Madeira with a sophisticated touch. Botanical lovers will be delighted with the whole variety of flowers, plants and trees – with over 500 different species, these gardens will be a true feast of colour for the eyes. Wood and stone are the two main building materials that stand out in Choupana Hills Resort & Spa, a five-star hotel perfectly integrated into nature. 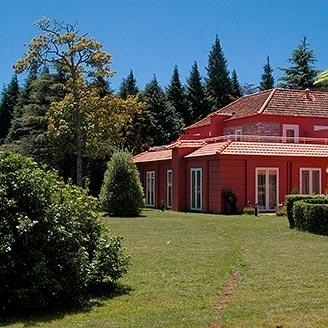 At the top of a hill, but located just 15 minutes from Funchal or 30 minutes from the airport, this is the place to choose if you want to be in full communion with nature but still be fairly close to the city. The hotel offers its visitors two swimming pools – an outdoor pool and a heated indoor pool, near the spa area. There you can take some time to relax in the Jacuzzi or pamper yourself with a massage or skin treatment. You may chill out in the lounge area, decorated with art pieces of African and Asian influences, or read a book in the cosy library. There is also a boutique, where you can buy souvenirs. Xôpana restaurant, with its exotic twist, will delight your senses. Casa Velha do Palheiro was a former hunting lodge transformed into a 5-star hotel, full of charm and character. Decorated in a classic style, that suits perfectly the long family tradition of the building, its guests will most certainly feel treated as nobility. At the heart of botanical gardens and next to Palheiro Golf course, this is a great option if you want to spend time outdoors or inside the spa, soaking up the silence and tranquillity that surrounds the hotel. 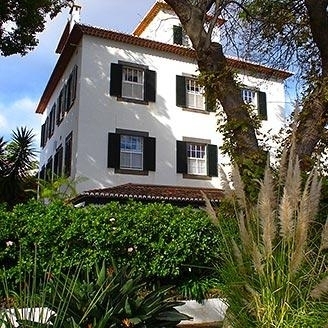 Dating back to the 19th century, Quinta da Casa Branca five-star boutique hotel is inserted in a former banana plantation. The impressive architectural style of the manor house and the villa was also kept in the classic decoration, featuring tapestries, chandeliers and antique furniture in the rooms, suites and common areas. The pool, the health club and the spa breathe the same quiet and calm that you will feel when you walk amongst the subtropical gardens that surround them. 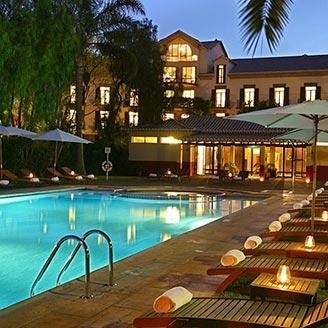 Quintinha São João is a charming 5-star hotel, strategically located very close to Funchal downtown. Its romantic elegance becomes evident in the decoration style, as well as in the gardens around it, full of interesting details. The indoor swimming pool surrounded by plants and offering amazing mountain views, as well as the heated outdoor pool, next to the spa, will most certainly invite visitors to rest and relax. If you like exotic food, the hotel’s restaurant specializes in Goan cuisine, a true delight for the senses. The panoramic ocean view terrace is probably the most outstanding feature of five-star Quinta Mirabela, especially if you stay there in New Year’s Eve. Originally built in 1888, it was transformed into an elegant and comfortable hotel, with its own history and character. The rooms and suites are spacious and equipped with modern amenities. Overlooking Funchal, the swimming pool and the solarium area are privileged places to enjoy your vacation. Since the hotel is located in an elevated position, if you want to go to the city centre, you can take the minibus twice a day. Quinta da Bela Vista is an elegantly decorated 5-star hotel, surrounded by botanical gardens and delightful views over the Atlantic Ocean. From the private balconies of the suites and double rooms, guests may overlook the lush gardens or the mountains and Funchal bay. The city centre is only 2 km away, really close for those who would like to visit museums or do some shopping. 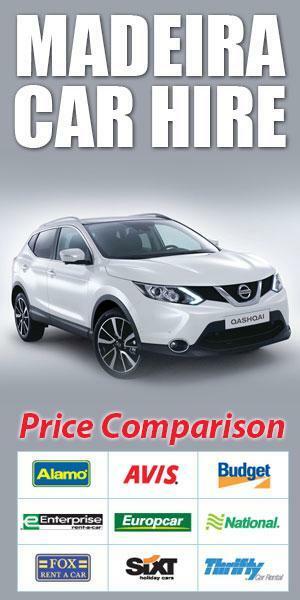 Over the years, it has received several international awards and award nominations. 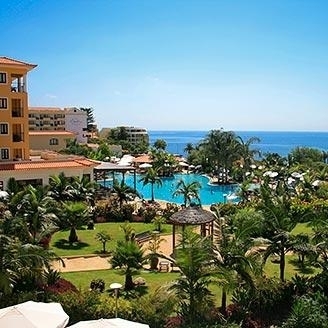 As part of Albatroz Beach & Yacht Club, five-star hotel Albatroz Madeira is located in Santa Cruz, very close to the airport and Santo da Serra Golf course, perfect for golf lovers. 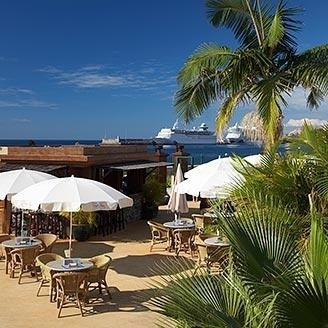 Directly on the seafront, the hotel offers its guests amazing views to the Desertas islands and private sea access. 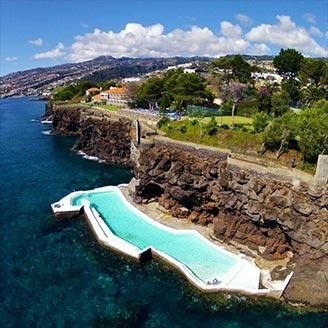 It has two large natural seawater pools, allowing easy access to the ocean. But if you prefer to swim in freshwater, there is also a pool at the hotel level. 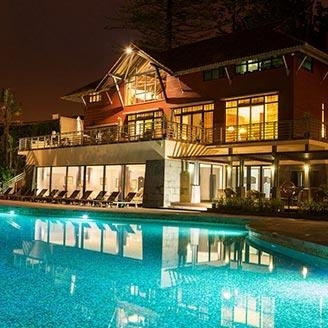 Located in the unique Ponta de São Lourenço, 5-star Quinta do Lorde Resort – Hotel – Marina offers you everything you need for your vacation within its ‘village’: restaurants, bars, tennis court, gym, wellness area, shops, grocery store, laundry, a kids club, and even a chapel. Just choose the type of accommodation that suits you best: rooms, suites, apartments or villas, all connected by cobbled paths and gardens. 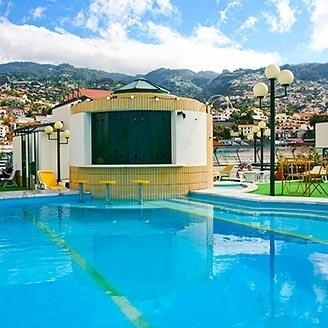 After a long day visiting Funchal, you can relax, take a swim in the pool or have a drink in one of the bars overlooking the private beach or the marina. 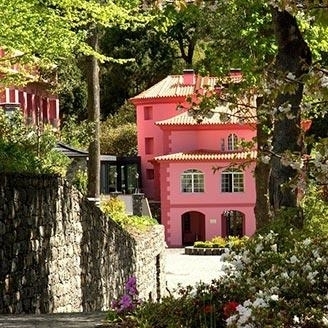 820 meters above sea level, in Estreito de Câmara de Lobos, deep into the mysterious forest of ancient trees and other Laurel Forest species, you will find the pink building of five-star Hotel Quinta da Serra. The ‘mother house’ was built in the 19th century and has maintained its classic and elegant style to the present day, with large rooms and comfortable common areas. After swimming in the indoor pool, guests can have a taste of the organic cuisine served at the hotel’s restaurant. The hotel has a legend of its own, which has to do with love and the tallest tree on the island: a eucalyptus. The rest… well, the rest you’ll have to find out for yourself. 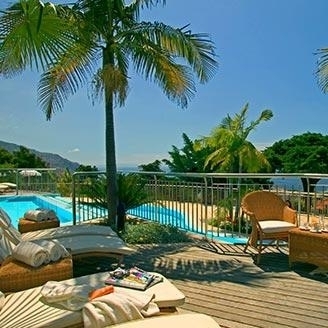 Situated just 300 meters from Funchal’s city centre next to the harbour, the charming Quinta da Penha de França is an oasis of Tropical gardens with direct oceanfront access. 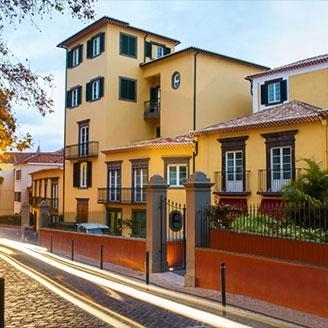 The Hotel Quinta Bela São Tiago is located in the heart of Funchal’s old town and allows easy and quick access to the city centre. 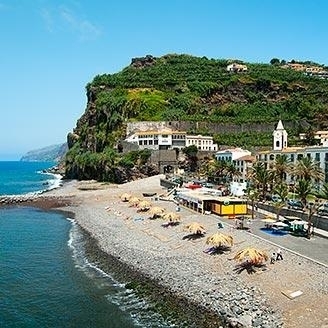 The hotel is located on a very unique and delightful strip of the Madeira coastline, which boasts a dazzling golden sandy beach. 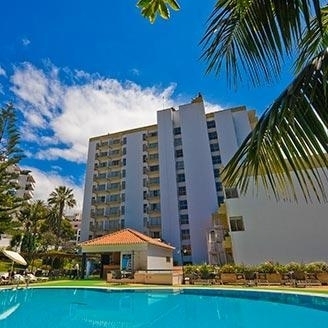 The Madeira Regency Club is an elegant 4-star hotel enjoying a convenient location close to Funchal’s Marina, restaurants, cafés and all the activity of a modern city, whilst maintaining the atmosphere of a tranquil resort. The Hotel Savoy Gardens is a completely renovated 4-star hotel. A lovely getaway in a quiet residential area with the traditional Savoy service. With views over the sea, modern structure and comfortable rooms with a great design, the Golden Residence Hotel will surely meet the expectations of the discerning traveler. The service and facilities are second to none! The hotel is set in beautiful scenery where the green of the mountains meets the deep blue of the Atlantic. 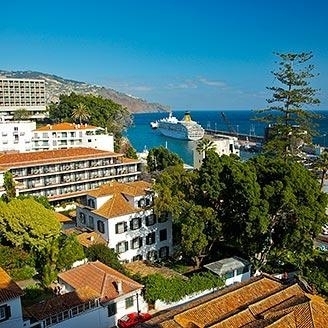 Whether visiting Madeira for business or pleasure, the modern 4 star Hotel Windsor offers a central location in Funchal’s historic city centre. A friendly welcome, great service and spacious, airy rooms await you. Did we mention the rooftop pool surrounded by panoramic city views? We look forward to welcoming you to our comfortable hotel. 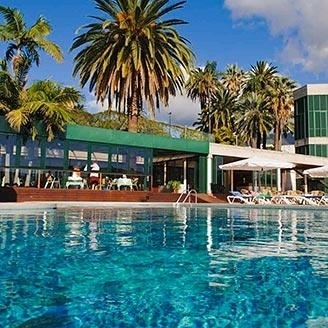 Its modern design, relaxed atmosphere, comfort, modern facilities and the host of activities make the 4 star Monte Mar Palace Hotel, overlooking the magnificent Atlantic Ocean on Madeira’s verdant northern shore, the perfect choice to simply get away from it all or as base from which to explore Madeira’s natural wonders. 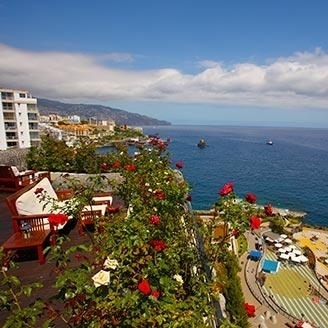 The luxurious Tourism Board approved 4-star Atlântida Apartments are exceptionally well located in the heart of Funchal, right next to the lovely Municipal Garden with its exotic, tropical flora in bloom all year round. 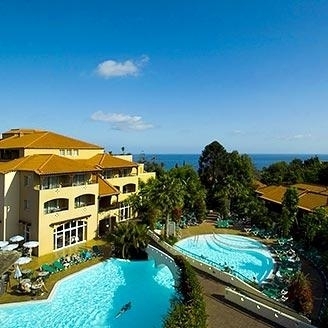 Raga Madeira Muthu Hotel is a well-appointed 4-star hotel situated in Madeira’s reputable Lido area. 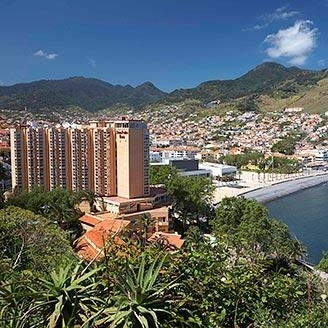 Offering enviable views of the Atlantic Ocean from its rooms, restaurants and swimming pool, it is within walking distance from the city centre and is a perfect base from which to discover the rest of Madeira. 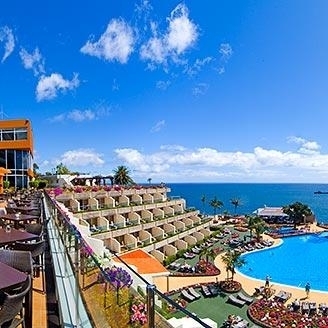 Situated on the popular Estrada Monumental and affording fantastic sea views from most of its rooms, the Hotel Girassol is a great base from which to discover Madeira. Recently refurbished, the accommodation at this four-star complex is modern, comfortable and all the rooms offer private balconies. Hotel Girassol will ensure you have a great holiday on this island! 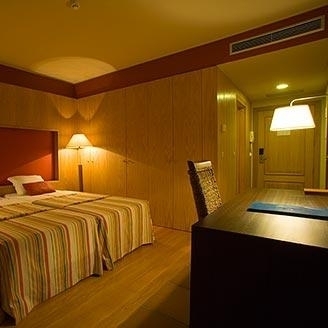 This charming hotel Quinta do Perestrello is the ideal place for all those who appreciate individuality and cosiness of a small hotel but who still want to be close to the centre of all happenings. 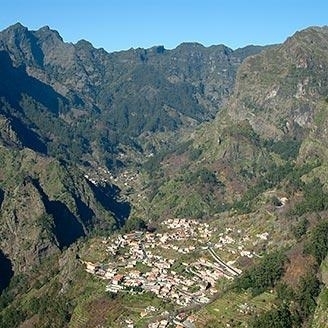 The Hotel Eira do Serrado is located in the beautiful mountains of Madeira and enjoying the views of the very fascinating village Curral das Freiras in Nun’s Valley. At the hotel, relax and let yourself be pampered by an excellent service and attention to detail. Surrounded by majestic mountains and magnificent forests, the 4 star Estalagem do Mar has panoramic views over the imposing Atlantic Ocean. Its fantastic location and the vast range of activities, both at the hotel and surrounding it, allows you to choose to have a holiday as relaxing or as active as you wish. Surrounded by an eden of subtropical plants, the luxurious 4-star Porto Mare Hotel offers contemporary accommodation and first-class hospitality. Guests have access to excellent facilities as part of the Vila Porto Mare resort, including beautiful swimming pools and a sumptuous spa complex. Restaurants, bars and shops are only a short walk away. 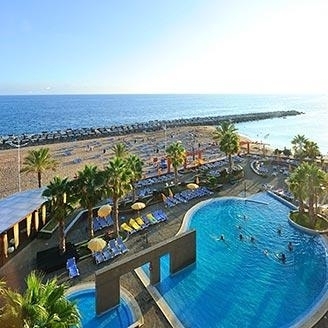 The suite Hotel Eden Mar will welcome you in style with fantastic rooms and suites, a professional team and the mild weather Madeira is famous for. And all of this in a pretty setting by the sea. 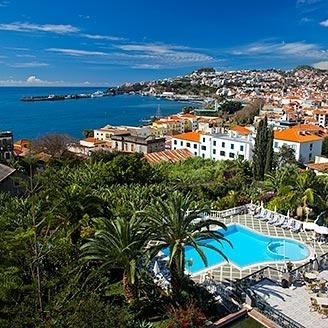 Make your way to the Hotel Porto Santa Maria, a fabulous 4-star hotel set along the beautiful sea waters in Funchal’s old town centre. 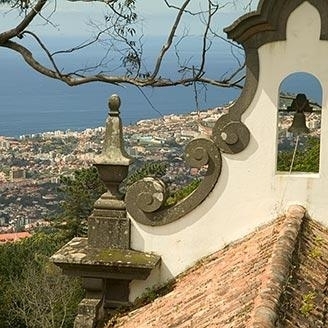 Boasting its privileged location near the São Tiago Fort and its close access to several attractions in this city, the Hotel Porto Santa Maria is a fabulous option whenever planning a holiday in beautiful Funchal. 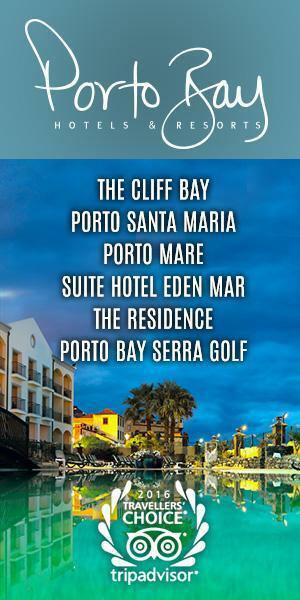 Located on top of the Formosa Beach, the four-star Pestana Bay Ocean Aparthotel offers sea views from every room. The large spacious rooms provide a kitchenette and a private balcony from which you may enjoy the unique scenery. Your holiday will be all the more enjoyable at this resort with such a privileged location. 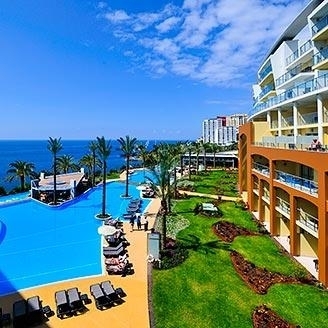 The Pestana Promenade Ocean Resort Hotel is a luxurious and brand new hotel from the Pestana Group. The oceanfront and chic Lido promenade set the scene where you will find all leisure and shopping facilities for a wonderful holiday. 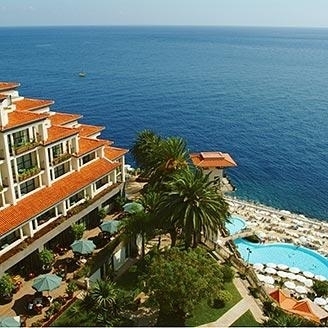 Always dreamt of a hotel with a private balcony to enjoy the views of the ocean, wonderful green gardens, deep blue swimming pools or high mountains covered with tropical plants? 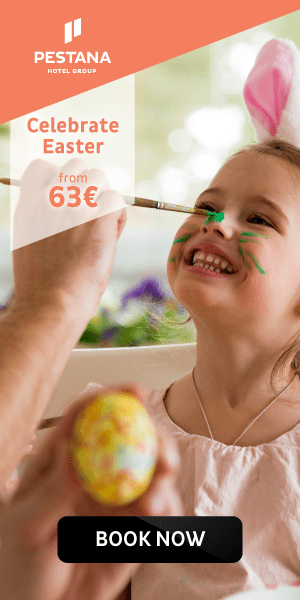 The four-star Pestana Village Garden Resort Aparthotel in Madeira may offer this and much more during your holiday due to its privileged location near Funchal’s city centre. 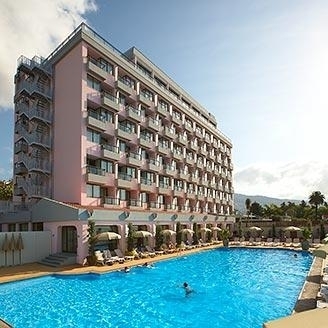 Make the most of your holiday in Madeira by staying at the four-star Pestana Miramar Garden Resort Aparthotel, ideally located just a few metres away from Funchal’s city centre. Immersed in beautiful lush tropical gardens and with views over the sea, this hotel won’t fail to surprise you during your stay. 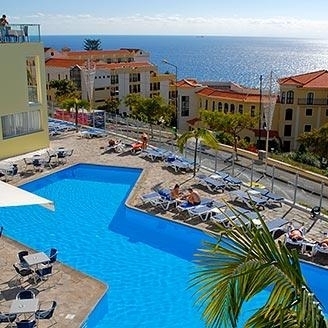 The Enotel Quinta do Sol - Funchal is a 4-star hotel located between the Lido area and the centre of Funchal. A welcoming atmosphere in a traditional hotel where personal service will make you feel at home. Set in a lovely village on the western south coast of Madeira , the Paul do Mar Hotel is a perfect base for many activities on the island. The hotel’s traditional service will make you feel like you are at home. 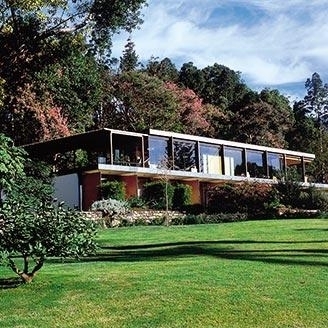 Enotel Golf - Santo da Serra is a lovely 4-star hotel located in the quiet village of Santo da Serra. With streets lined with camellia trees and surrounded eucalyptus forests, it’s a retreat for a rejuvenating holiday in lovely natural surroundings. 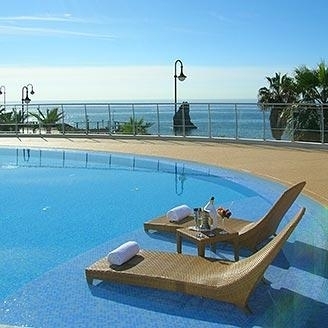 A tranquil and relaxing hotel by the sea, located in the sunniest spot on the south of Madeira Island. 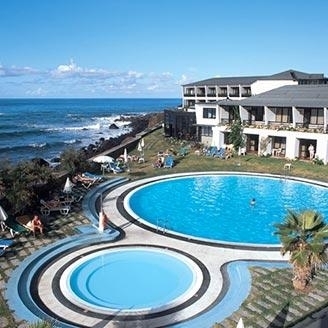 The Enotel Baía - Ponta do Sol is a real treat for your holiday, an elegant and modern 4-star hotel with excellent service. 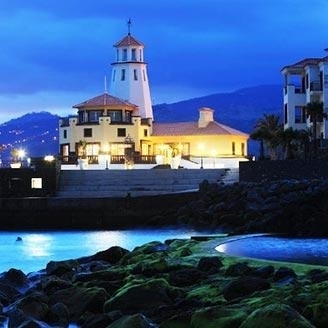 Located on a hillside in Funchal and enjoying magnificent views over Funchal bay, the Marina and the town, the Four Views Baía Hotel is a 4-star hotel where comfort, elegance and excellent service meet harmoniously. 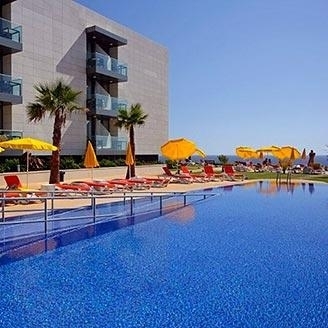 A charming family-oriented 4-star hotel, the Four Views Oásis is located in Caniço de Baixo a seaside village where residential houses are sprinkled amidst fields and flowers. Welcome to the Four Views Monumental Lido hospitality. Its elegance, convenience and location will delight you making for a fantastic stay. Relax by the pool or at the Spa and enjoy the top service and accommodation. 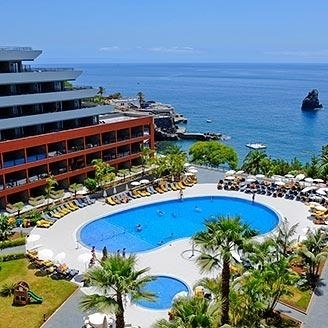 The Madeira Regency Cliff is a trendy little 4-star hotel in a superb cliff-top location with splendid views over the ocean and the coastal strip of the popular Lido area. 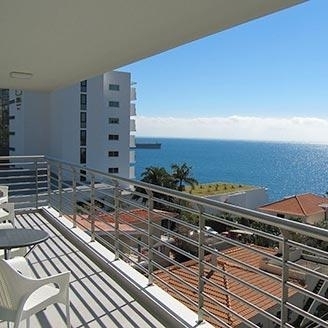 Situated near the Lido area, one of the most dynamic areas of Funchal, the Apartamentos Atlântida Lido enjoy a fantastic location. All six apartments have a private balcony with partial sea views, fully equipped kitchenettes and modern fittings; the ideal surroundings for your holiday. 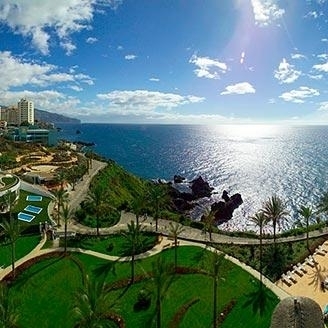 From Madeira to the world, two of the major international Portuguese brands, CR7 and Pestana, have established a joint partnership and opened, on the 1st of July 2016, a trendy modern boutique-style hotel on the cruise harbour of Funchal – Pestana CR7 Funchal Hotel, with Pestana Hotel Group in charge of its operational management. A special focus was given to the common areas, rather than to the rooms, to encourage the spirit of social life and entertainment, since the hotel’s main target is a new segment of tourists – the ‘Millennials’ – younger travellers, between the ages of 18 and 34, who privilege modern amenities. Since both Cristiano Ronaldo and Dionísio Pestana were born in Madeira, it came as no surprise that the first of four hotels would be opened in the island’s capital, taking advantage of the connection between Funchal and the football player, with Cristiano Ronaldo’s statue right in front of the CR7 Museum. See our live webcam. 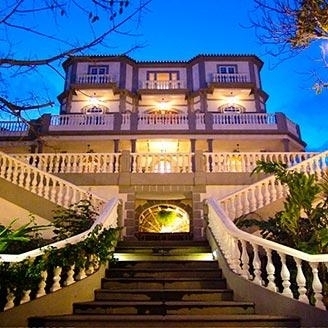 In the historic area of Funchal, very close to the City Hall, is four-star Castanheiro Boutique Hotel. The architectural project united three centuries of history in five different buildings, from the 18th to the 20th century, with design as their common thread. Stone elements and wood beams are perfectly integrated in the contemporary style, while the room decoration harmoniously combines modern characteristics with romantic details, like wallpaper or pillow patterns. 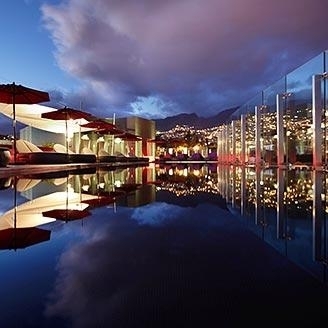 The hotel offers amazing panoramic views over Funchal bay, especially from the heated rooftop pool. On the top of a cliff stands Estalagem Ponta do Sol, a 4-star design hotel, whose starting point was the renovation of an old manor house. White is the main colour of both the building and the décor, giving their guests a Mediterranean feel. 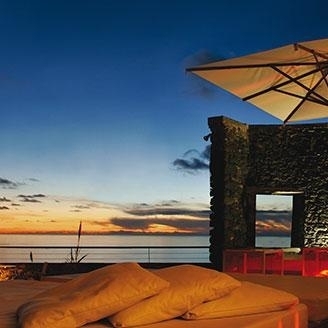 Overlooking the charming Ponta do Sol village with its pebble beach, this hotel has an infinity pool facing the Atlantic Ocean. 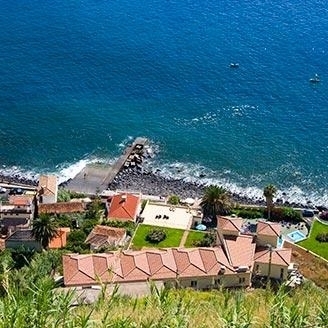 You may not know, but Ponta do Sol is the place with the most sunshine hours in Madeira. 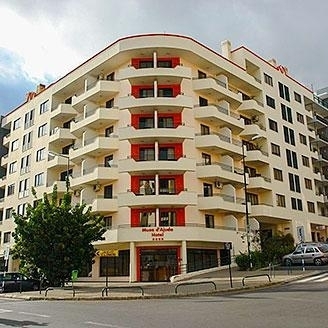 Located only 3 km from Funchal city centre, really close to the beach and to Fórum Madeira shopping centre, four-star Hotel Musa d'Ajuda has a very central location, with restaurants, bars, supermarkets and other services within walking distance. Rooms have a fully equipped kitchenette, TV, air conditioning and balcony. Hotel guests have free access to the restaurant, sauna and pools at the sister hotel, Suite Hotel Jardins d’Ajuda. Due to its central location, with lots of restaurants, bars and shops surrounding the hotel, 4-star Suite Hotel Jardins d’Ajuda is a good option if you want to stay close to the city centre. The hotel has indoor and outdoor swimming pools, as well as sauna, hot tub and gym. Rooms, studios and suites are equipped with air conditioning, TV, double-glazing and balcony with sea or mountain views. The hotel provides entertainment for its guests, with musical and dance shows. 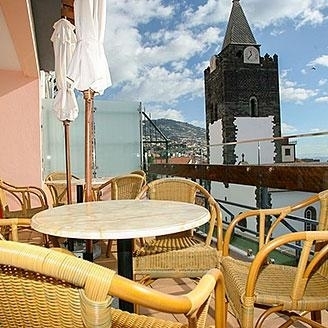 Right at the heart of Funchal, close to the cathedral, you will find Albergaria Catedral, an elegant four-star hotel. The rooms, decorated in shades of red and gold, feature air conditioning, flat-screen TV with cable channels and a balcony or a terrace, and there are two areas with free wi-fi access at the hotel. 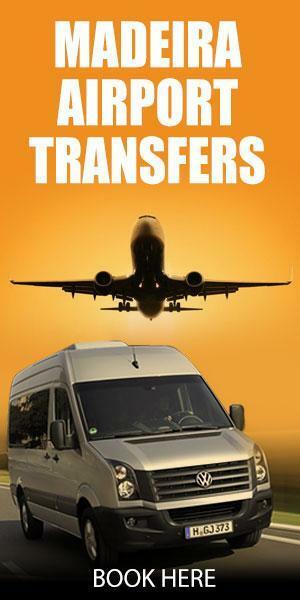 In the surrounding area, guests will find stores, museums, restaurants, transports, shopping malls and several other services they may need.